"Key Factors Involved in Cloud Computing for Long Term Success"
To ensure long term success in the cloud, certain key factors must be followed and the enterprise can take advantage of the continuously expanding and changing computing space. While no IT manager will simply jump headlong into cloud deployment, many are likely to omit or under-utilize key factors that ensure near- and long-term success. -What are the key factors involved in cloud computing for long term success? -What are the goals of the cloud initiative? What is the end-result that the organization is looking for? -What are the major security issues in cloud computing? -What are the advantages of cloud computing? 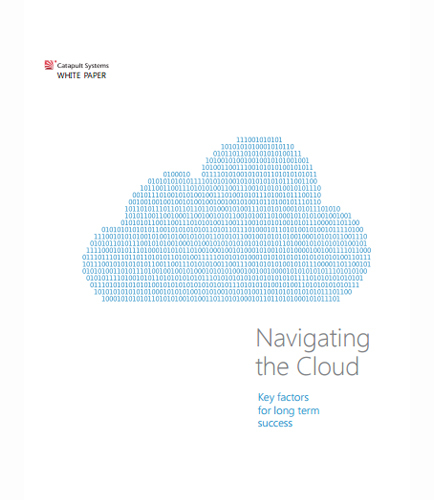 Read this informative whitepaper that presents the success factors and discusses the best way to use them to build a foundation for engaging with the cloud that will serve the company now and in the future.